Call for expert roof repair Scottsdale, Carefree, Cave Creek, Fountain Hills, Paradise Valley and Phoenix. Dial our name 602-The-Roof / 602-843-7663. Not sure if you are ready for a roof replacement due to cost? Triangle Roofing’s “No-Worries Roof Repair scottsdale Program” makes it easier for you to decide. Triangle Roofing’s, contractor home to Carefree, Cave Creek, Fountain Hills, Paradise Valley, Phoenix and Scottsdale’s program. Furthermore allows you to take the cost of your roof repair Scottsdale program and use it as a rebate. Hence towards the price of a full new roof replacement installation when you’re ready. For example, Triangle Roofing comes out and gives you a free roofing inspection and quote. You hire Triangle Roofing and your repair costs $500. When you’re ready for your new roof, the repair cost of $500 is used towards the cost of your new roof as a rebate. It’s a win-win for you and Triangle Roofing as we gain your trust with a quality repair and you save money in the future when you’re ready to replace that aging roof. Many roofing companies only do installations, but Triangle Roofing is one of the very few elite roofing contractors that perform installs and repairs – we are a full service new roof company serving Carefree, Cave Creek, Fountain Hills, Paradise Valley, Phoenix and Scottsdale. Bonus: The rebate is transferable helping to add more value to your home when selling. 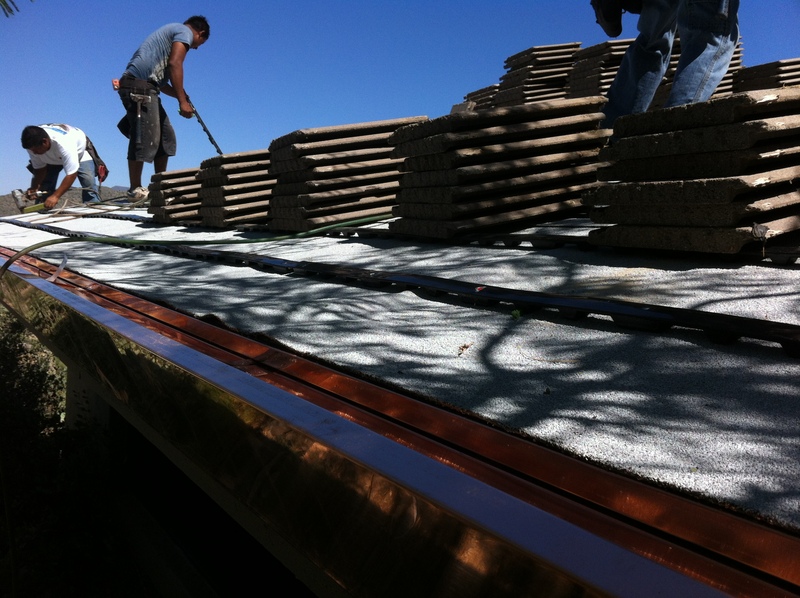 Roof repair Scottsdale damage can occur due to many factors. Hail can damage the surface granules and hurricanes and high winds can tear off sections of shingles entirely. Then there are roof leaks, worn out roof jacks and vents, damaged flashing, rotting, cracked pipe boots and more that, if left untreated, can damage the structure of your home over time. Triangle Roofing’s repair team can fix your roof damage issues and give it new life to last for many more years. Our roofing repair professionals use the latest industry standard roofing technologies and methods available to diagnose and fix your roofing issues right the first time no matter how big or small the problem. With so many different issues that can affect your roof’s structure, it’s important to get it inspected periodically to catch any roof damage before it grows. Triangle Roofing makes it easy for you with our FREE Roof Inspection. Schedule your inspection today 602-The-Roof and get roofing peace of mind.